These days almost everyone seems to have high speed Internet access. Yet, instead of making web site performance less and less relevant, this trend appears to make web site users more impatient. Because of fast internet connections, Internet users today expect web sites to respond (load) under 2 or 3 seconds. Weak performance (i.e. slow loading sites) directly translates into lost business. According to recent studies by Yahoo!, a mere 500 milliseconds longer page download resulted in a 20% drop in traffic at Google. 400 milliseconds slower downloads equals to 5 to 9% drop in full-page traffic on Yahoo. And 100 milliseconds extra download time on Amazon results in 1% drop in sales. In addition, slow performance can affect your site even before visitors hit your pages. 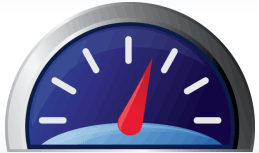 Google introduced site speed as one of their signals to determine ranking in April of 2010. Although relevance is still king, the rate at which your web site responds to HTTP requests now has a direct affect on how your site ranks on Google - and possibly on other search engines. Make a change today and see your Yahoo store perform better. Hire Y-Times to review and optimize your Yahoo Store for faster download time. Using Google's Page Speed as a baseline, we go through the performance reports and make changes to your store to improve on the weak areas as indicated by those reports. The cost of this service is very low compared to the lost revenue you may have month after month if your Yahoo store is not performing at its fullest potential. How does this optimization process work? Our page load optimization service automatically includes "LazyLoad", a $480 value, where images on the page are only loaded when the scroll into view. This results in a considerable gain in page load speed. Read more about LazyLoad here. Order your Yahoo Store Page Load Optimization service today! If your store is not making any money right now, try looking into other possible problems first. Page load optimization is best for merchants that already are turning a profit but want to increase the performance of their store. The before and after snapshot is taken of the the home page, a typical section, and a typical item page. While the entire store benefits from the optimization, there may be pages in your store that will perform badly no matter what. For example, if you have a category page with hundreds of items, that page will never download fast. There are certain problem spots speed testing tools point out that are outside of anyone's reach when working with Yahoo stores. Server-related issues, in particular, cannot be addressed.